This review is a long time coming, and I’m sorry it’s taken me so long to write it. It’s been difficult to write, because I love this book so much, and each time I sat down to review it I felt I couldn’t do it justice. I finally realized that, short of reprinting entire chapters of the book here on my blog, nothing could really reflect how helpful Yarn Works is until one actually reads it. This is a unique and incredibly useful book. It is textbook-like in it’s scholarship, it’s appendices and illustrations. But, unlike the average textbook, Yarn Works is a delight to read. Yarn Works is broken into 4 sections; Fiber Workshop, Spin Workshop, Dye Workshop and Knit Workshop. Each section is clearly divided into chapters which take the reader through each topic, step by step, with very clear and understandable instructions. I must confess that when I review a book, I usually don’t read it cover to cover. If it’s a pattern book I’ll peruse the garments, pick a few and read through the pattern to see if I can understand the writing style. If it’s a technique book I’ll try a few of them out, also to see if the writing style resonates with me. In this case, I’ve been taking this book to bed with me and scanning it (heck, I took it to DC with me and read it in hotel rooms along the way…) and I’m in love with it. 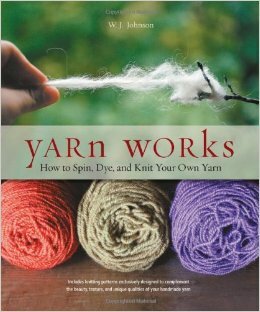 My adult life has been book-ended by yarn; I learned to knit at 25, began designing hand knit garments and writing patterns in the 80’s. I took a hiatus to attend grad school and work in the theater and TV for 10 years, then returned to knit design/teaching in the early 2000’s. Now I dye yarn, too, which takes up the lion’s share of my days, so I was most intrigued to read Wendy’s take on these aspects of my ‘life’ – dyeing and knitting. I must admit that I didn’t spend a great deal of time on the Spin Workshop. 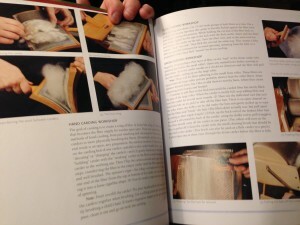 I read the section, as I did the Fiber Workshop section, and found the information clear and concise. I’m not a spinner; my asthma makes it difficult for me to even knit with very soft fibers (like alpaca or angora), forget about spinning fiber! My main focus, obviously, was on the dyeing section. Wendy breaks down the dyeing process by type of dye, and by fiber, and does it so clearly and in such a non-confusing manner that just about any fiberista will walk away feeling a bit more expert in their understanding. I’ve spent the past week doing some hard-core dying, finishing up many kilograms of yarn for various clubs and shows, and I’ve felt gratified by how words from Yarn Works come to me at various parts of the process. 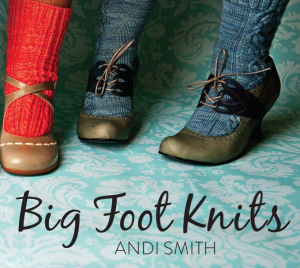 Through trial and error over the past year, as ModeKnit Yarn has been moving up to speed, I’ve come to many of the same conclusions that Wendy comes to in her book. However, I didn’t understand the science or theory behind many of my discoveries, and reading about them has been incredibly helpful. For instance, I knew that citric acid increased the ability of my yarn to absorb dye and exhaust the bath, but I didn’t understand WHY. Knowing this allows me to be a more complete and effective dyer. I love Wendy’s embracing attitude that there are MANY right and good ways to create and dye fiber — as many as there are dyers — but the science behind dyeing doesn’t change from dyer to dyer. 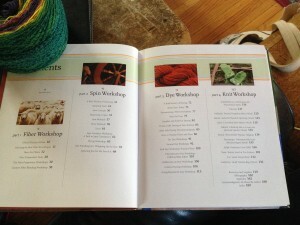 If you have an interest in spinning, dyeing or knitting, want to understand the basics of different fiber types and what differentiates different protein fibers (or how cellulose seed fibers differ from cellulose bast fibers) and want to learn all of this in a friendly and comfortable environment, Yarn Works is the book for you. You probably didn’t get this book for Christmas. Treat yourself and order it now. Then order one for a friend and change their fiber life. I’ve knit many socks, I’ve designed a sock (okay, a pair of socks…) but although they’re not my go-to project of choice, I definitely appreciate sock knitters. I’ve long felt that most of the staying power that the popularity of knitting has experienced over the past decade is due to the army of sock knitters who keep so much excitement bubbling in the knitting world. 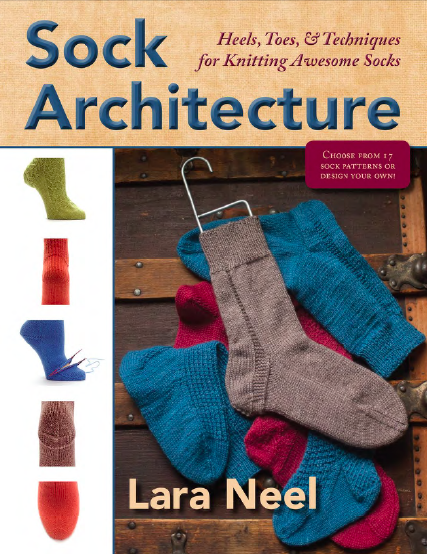 I would put Lara Neel’s* new book, Sock Architecture, up there with them. 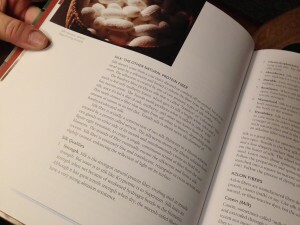 What I particularly like about Lara’s book are the instructions and images. She uses clear graphics and photographs to work, step by step, through the techniques. 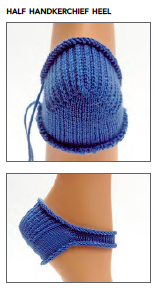 For a non-sock knitter like myself, these type of illustrations are very helpful. I can visualize a technique much better when I can see a few images, I really appreciate the amount of work that went into creating these images. The book begins with an explanation of certain sock verbiage, why different heels and toes are named as they are, and the main differences between Eastern and Western socks. 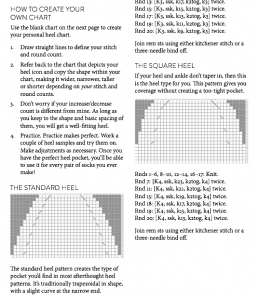 Foot shapes, sizes, and tailoring a sock for a specific foot are discussed in depth, as are tips and tricks for creating a really good-looking, well fitting sock. The remainder of the book is divided into Top-Down and Toe-Up sock construction, with myriad heels and toes discussed under each topic. 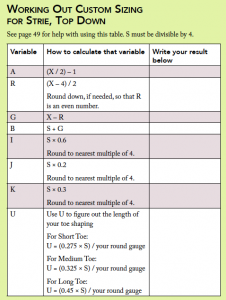 Patterns are provided for each of the variations discussed, and helpful charts allow the knitter to determine whether one of the standard sizes listed would work for their sock, or how they can do the math to create a custom fit. 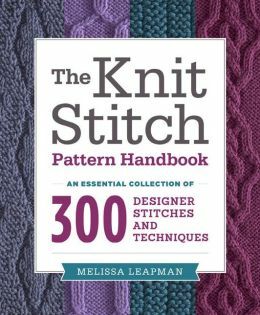 One of the nice things about the book is – for lack of a better description – a ‘cut-and-paste’ layout which allows the knitter to either use the designs as written, or create their own design combining elements from various patterns. 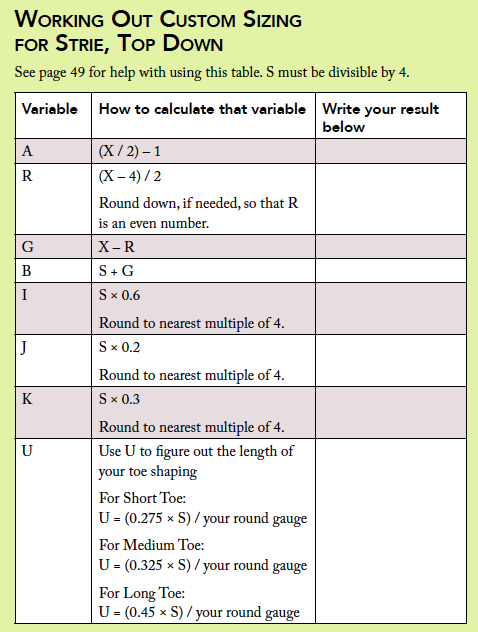 As someone with rather long toes and a low arch, I find this SO helpful. Breaking down the patterns in this way also allowed me to understand more fully the actual construction of a sock. I can’t see myself becoming a great sock knitter, but with Sock Architecture I will feel a bit less adrift when I tackle my next sock pattern. *in full disclosure, Lara’s a friend of mine and photographed my upcoming Bolero book for Stackpole Press. Cooperative Press, the publisher of Sock Architecture, is allowing me to give away a copy of the book (as an eBook) to a lucky blog reader! 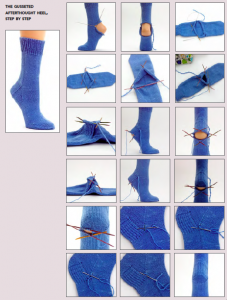 Simply leave a comment below, tell me the most challenging technique (in a sock, or in any other type of knitting) you’ve attempted and you’ll be entered to win the eBook. I’ll be selecting one winner on Monday, Dec 8th, by the end of business day. Good luck! I have played around with brioche in my knitting life, and I will admit that in the past I have not been the biggest fan of this intriguing way of creating a rich, deep fabric with yarn and needles. Perhaps it’s because I’m gluten free? 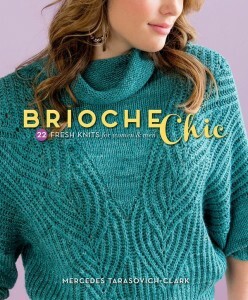 I’d read articles by Nancy Marchant, which were fascinating, but never really grabbed me the way that Mercedes Tarasovich-Clark’s new book, Brioche Chic, has sparked my imagination. Beautiful cowl for first time Brioche knitters. Brioche can be a complex subject, and Mercedes breaks down the process of creating lovely one and two-colored brioche in simple, easier to comprehend bits. The book itself is bright, light and cheerful – which would make it a terrific gift for a knitter on your list who is ready to move into a new technique – with very clear illustrations, many charts (love that!) and excellent photography of the garments and details. 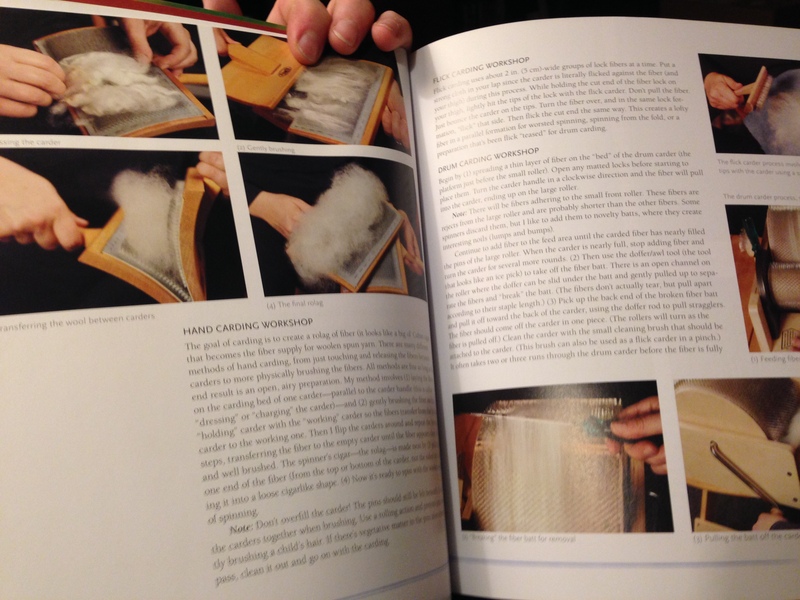 The book is also available as an ebook, which I love because it allows the knitter to make the text large and the charts even larger as I knit! I’m in love with Lattice! I loved the patterns in this book! Ostensibly a technique book, it’s really a book of amazing patterns that just happen to be worked using the brioche technique. I’ll be making this for Gerry! 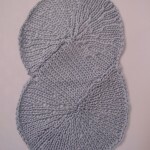 The use of 2 colors to show off the beauty of brioche might actually make this possibly-daunting technique more accessible to the average knitter than they might think! In much the same way as when working double knitting, two colors makes the technique pop! I feel the same could be true of brioche. This seems especially notable in the deceptively simple Colorblock Pullover. 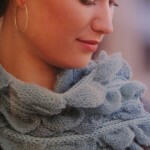 Mercedes has done a wonderful job of marrying lovely, well-matched yarns to the projects. With a background as a shop owner AND a yarn dyer, Mercedes is well placed to fit the best yarn with the appropriate pattern, and it shows here! Rich, deep and textural! Brioche at it’s best! I felt a bit intimidated by the charts, which is a very unusual feeling for me. However, I’m not sure there IS a way to make Brioche Charts less formidable. I’d like to give a copy of this book to a happy reader, simply tell me if you’ve ever tried Brioche, and if so, how did it go for you…? I’ll be determining the winner this coming Saturday, and will announce it on the Blog on Monday. So comment away – and good luck! I’m always so torn at Valentine’s Day. I love chocolate (too much!) and I love flowers, but if I’m going to be showered with gifts I’d love to get something less fattening and longer-lasting than the traditional Valentine’s Day haul. So – because my husband and I have a long-time, pragmatic marriage – he actually likes it when I tell him what would most appeal to me for Valentine’s Day. And I’m happy to accommodate! I present you with my 2014 Valentine’s Wish List. I honestly don’t expect to get all (or any) of it, but I figure if Gerry has good, firm hints I’m more likely to wake up on Feb 14th with something I can fully enjoy! Remember, there’s nothing more satisfying to a gift giver than the knowledge that their gift is appreciated and loved. Sometimes a well-placed hint can make this possible! Namaste is an amazing company. They support good causes, they make some of the most beautiful vegan ‘leather’ bags around, and they truly GET crafters & their needs! This year high on my list are the Oh, Snap! bags. I am (in)famous for carrying around various ziplock bags filled with yarn and projects-in-process. Sometimes I seem to be more bag than knitter once I get all my work spread out. But not only is it a waste of plastic bags, they just look shabby. The Oh, Snap! bag is roomy, easy to get into, and – best of all – see through! I love to see what I’m working on, and show stuff off without taking it out of the bag! It comes in a variety of colors, in sets of 2 or 3 bags. Reusable and STRONG, I have one long-wearing green one that’s taken the place of at least 20 ziplock bags! Looking for something less crafty, but just as utilitarian? I can HIGHLY recommend the Wristlet as one of the most useful small bags I’ve ever owned! It’s well designed,with multiple zippered pockets and credit card slots and a useful wrist strap. Along with the pockets are two separate compartments in the purse (I use one for personal items, the other for knitting tools) and to top the whole thing off it’s absolutely charming. I am constantly getting compliments on this cunning little purse, and have no problem carrying it at a dressier occasion. If you have been wanting to give Namaste Bags a try, this is a great ‘trial bag’, and—highlight this sentence when you print this out to leave on your significant other’s pillow—the Wristlet would make a GREAT GIFT! Like many knitters, I have dozens of stitch dictionaries and pattern libraries on my shelf. Sometimes I wonder if it’s worth it to get a new one, what could possibly be new? Melissa Leapman’s The Knit Stitch Pattern Handbook is remarkable. I will admit I got a free copy, but if I didn’t believe that this was one of the most useful books you can get, I wouldn’t write about it! Melissa Leapman’s book is a MUST HAVE! 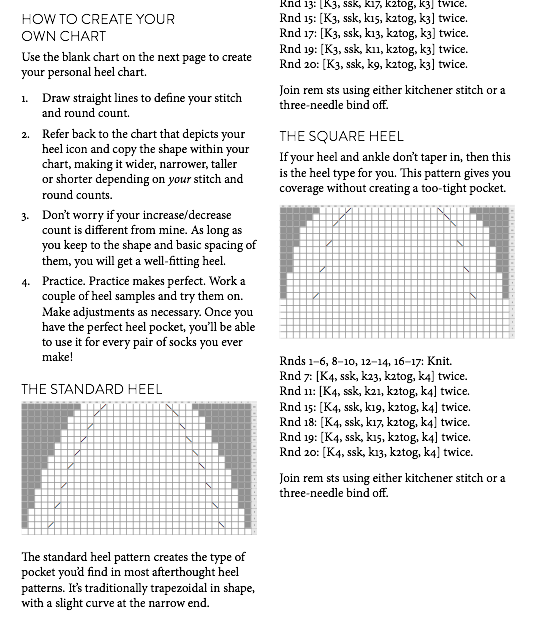 Not only is The Knit Stitch Pattern Handbook filled with different motifs (as you’d expect) Melissa offers excellent suggestions for USING the motifs in an actual garment, with tips on charting for a neckline, fitting motifs into a schematic and decreasing while remaining true to the stitch pattern. 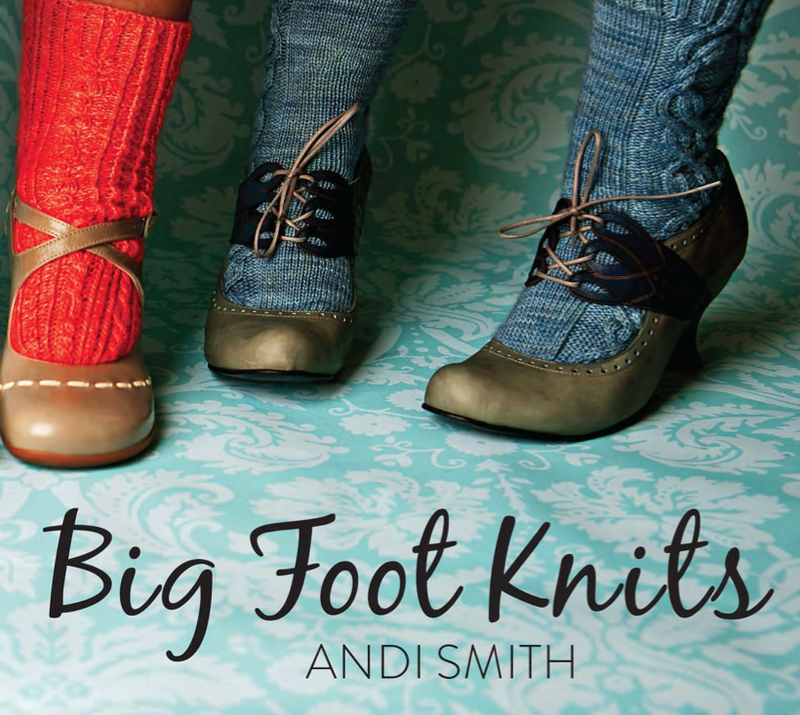 This is a book every knitter should have! And if you can acquire it as part of your Valentine’s Day festivities, then everyone is happy! Crochet At Play! Book Giveaway! I have a great book giveaway, just in time to work up some fun items for your favorite Hannukah child (or any kind of holiday child!) Or for any kid for any reason! 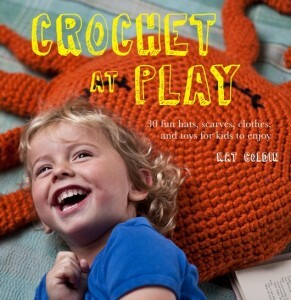 The book is Crochet At Play by Kat Goldin. She strives to make the items in the book fun to make, fun to wear and fun to see. I think for the most part she’s succeeded quite well, there are many items I would have loved to have worked up for my own kids when they were smaller! Among my favorite pieces in the book are the whimsical ‘useful’ items, the sorts of thing that can be worn every day, but with a cute little twist. 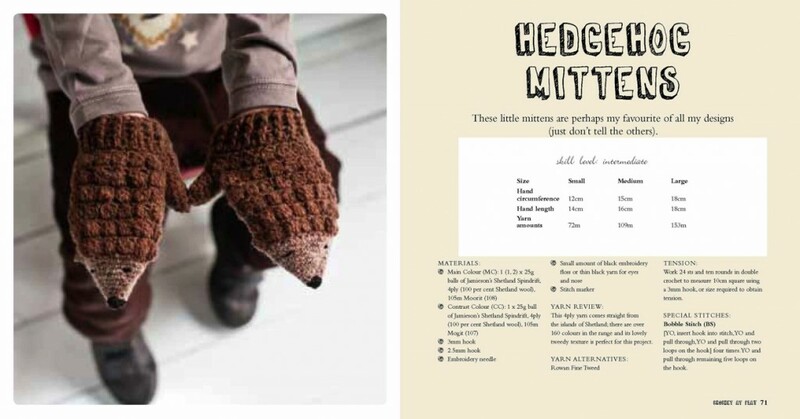 I LOVE the Hedgehog Mittens – so adorable that a child might actually keep an eye on them and not lose one! They’re clever, simple, and absolutely delightful! 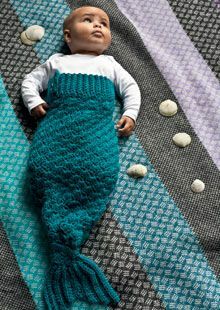 Another delicious item is the Mermaid, which is so silly but so fun that I’m afraid I’ll be making them for new babies in my life for years to come! Kids grow up way too fast. This book will help a parent, aunt or uncle, cousin or friend enjoy many moments of magic in their young lives. 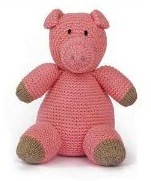 The how-to crochet section is clear, the instructions are well laid out and the models are absolutely adorable. 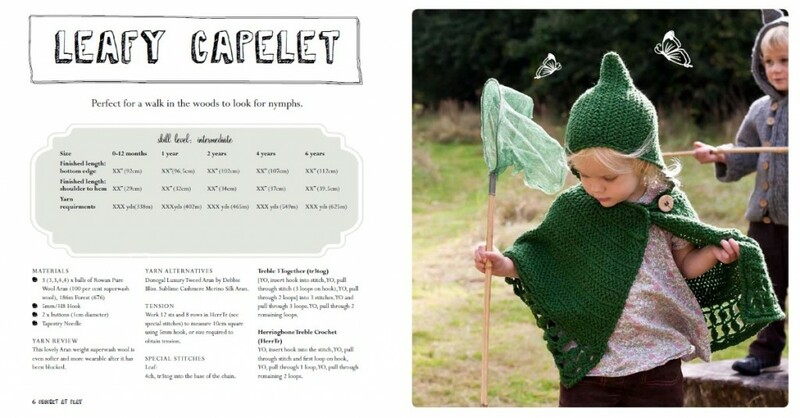 Another lovely piece is the Leafy Cape. I can easily see someone working this up for a new baby, it could easily double as a favorite blanket until the child is old enough to run around the house in it! Would you like a copy of Crochet At Play? Simply leave a comment below telling me the MOST FUN ITEM you ever crocheted or knit. It doesn’t have to have been for a child, just something that was a blast to work up, something you thoroughly enjoyed! I’ve had a lot of press lately with many items showing up in various magazines and books, which is always terrific! 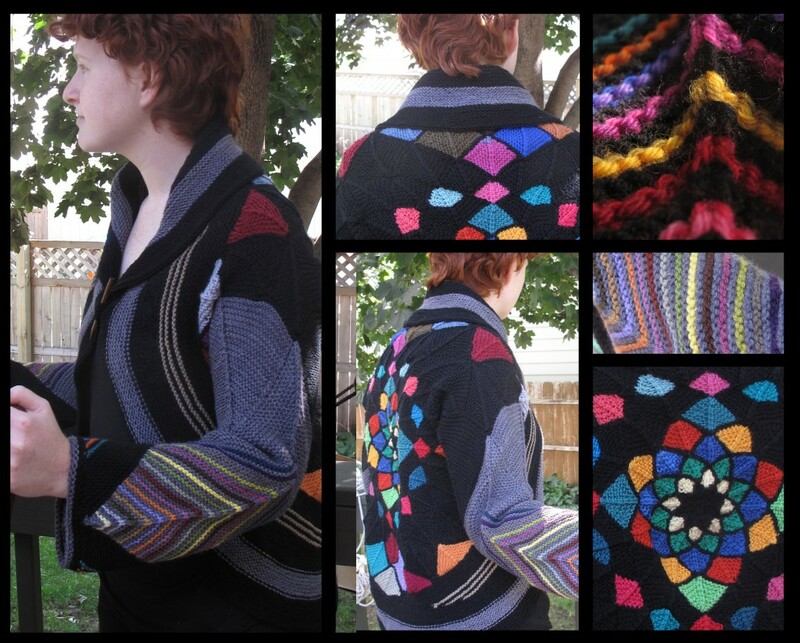 I wanted to mention two sweaters I’ve recently done which have more than a passing resemblance! My Dream Catcher Cardigan in the Winter 2013 Interweave Knits is getting a lot of attention – it’s a really fun knit, and it’s worked up in a chunky yarn (Brown Sheep Shepherd Shades) and it looks a lot like my Rose Window cardigan I’m currently tech editing and test knitting for release next year in my Stained Glass Knits collection. Rose Window was actually the original inspiration for Dreamcatcher, but aside from a similar center back motif, the differences in the garments are greater than their similarities. But the largest difference is the yarn choice – Bulky for one sweater, worsted for the other, with all of the associated pattern writing differences. 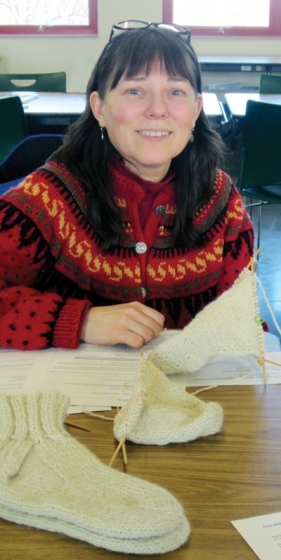 I don’t really think of these as the same sweater, but as the same shape used in two different sweaters – rather like two Lopi sweaters with similar yokes, but which are entirely different garments. I wanted to mention this here because I don’t want anyone thinking I’m trying to slip anything by the knitting world! These are similar styles, but very different garments! This is something a lot of designers struggle with, I know I do! We come up with a unique shape that we love, we want to see it worked up in many different ways, but we want to be original, too! The basis for these designs has become so much a part of my ‘design language’ that I will probably use it again. Maybe not in the near future, though! One of the really nice things about being in this biz for [mumble] years is that I get to make a lot of wonderful friends! Designing hand knits and crochet can be solitary at times, so when we get together at knitting conventions it’s great to see sister (and sometimes brother) designers and share our victories and war stories. Sadly, I won’t be seeing my friend Kristin Omdahl there, and I love to see her pretty face! 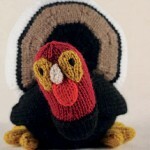 I’m an unusual knitter (aren’t we all, in our own ways?) and I love the approach this books takes in exploring new techniques to create unusual knitted motifs. 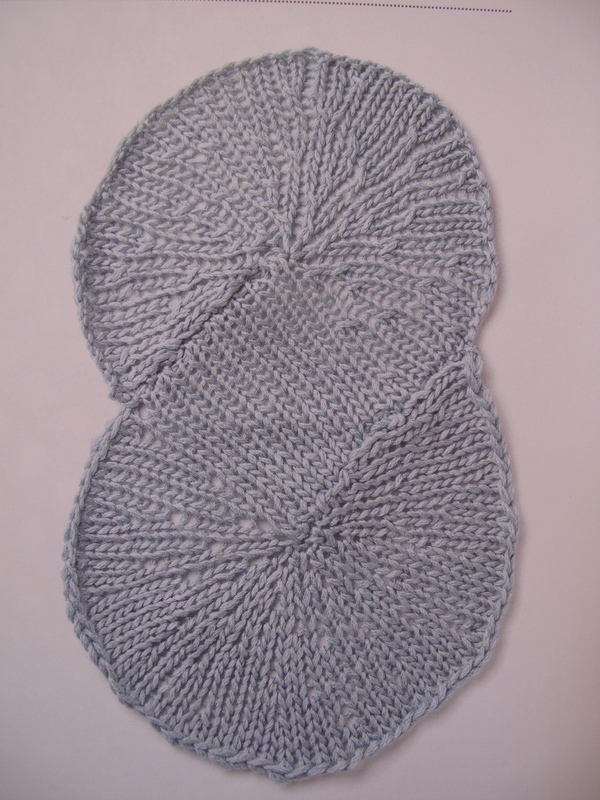 One of the cooler motifs was the “Infinity Loop”, which is shown in several incarnations (St st, garter, lace) and uses short rows. I find myself wondering if it would be possible to join the ‘points’ of the piece as I work, instead of stitching them later – something to ponder on my plane trip out to San Mateo! Once you’ve mistressed* the ins and outs of the individual motifs (many of which are worked from the center outward) Kristen provides 10 patterns you can use to show off your new mad skills! 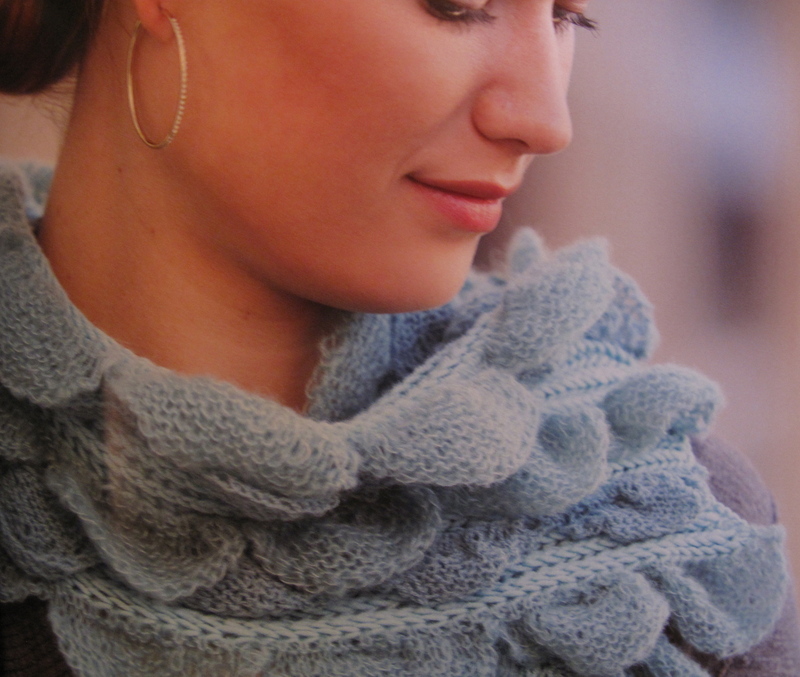 My favorite pattern was the Mia Brioche-Stitch Scarf which utilizes small scallops worked together on a brioche-stitch spine, a lovely effect! So, Would You Like This Book? 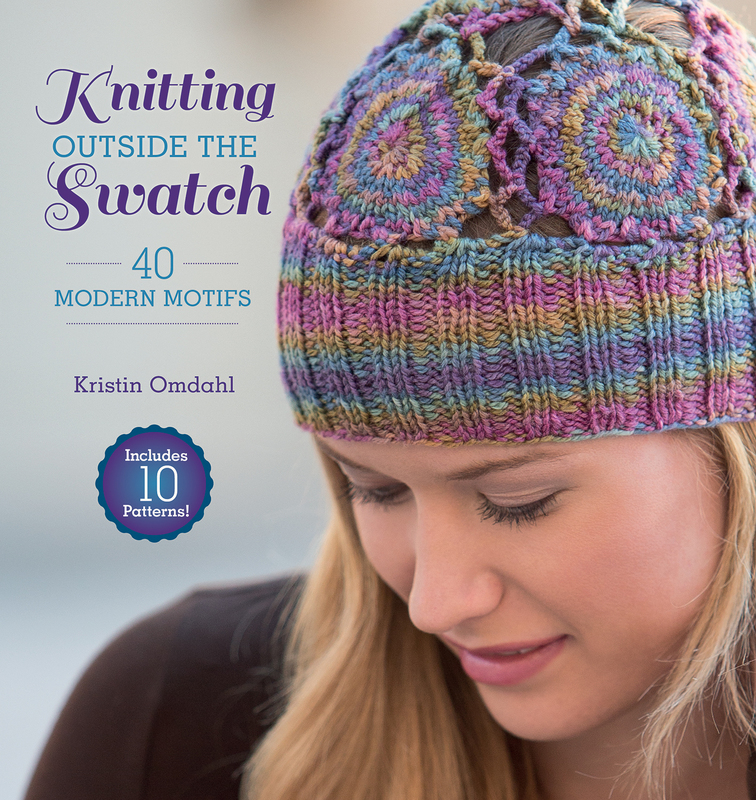 I will choose a comment at random, and F&W Media will send the winner their very own shiny copy of Knitting Outside The Swatch! This contest will run until Saturday, so get your comments in! *In a craft where 94% of the practitioners are women, I WILL use the term mistressed! It’s widely known that I love hats, and ANY book that brings more folks to the hat-loving fold is absolutely dandy with me! 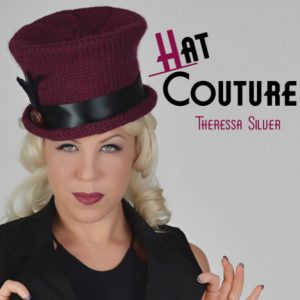 Cooperative Press is releasing a new book, Hat Couture, by Theressa Silver, which contains 13 hat patterns, all worked up in Cascade wool yarn. 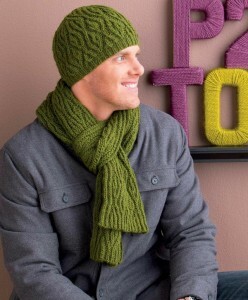 What is it about hats that compelled you to put together this collection of patterns. 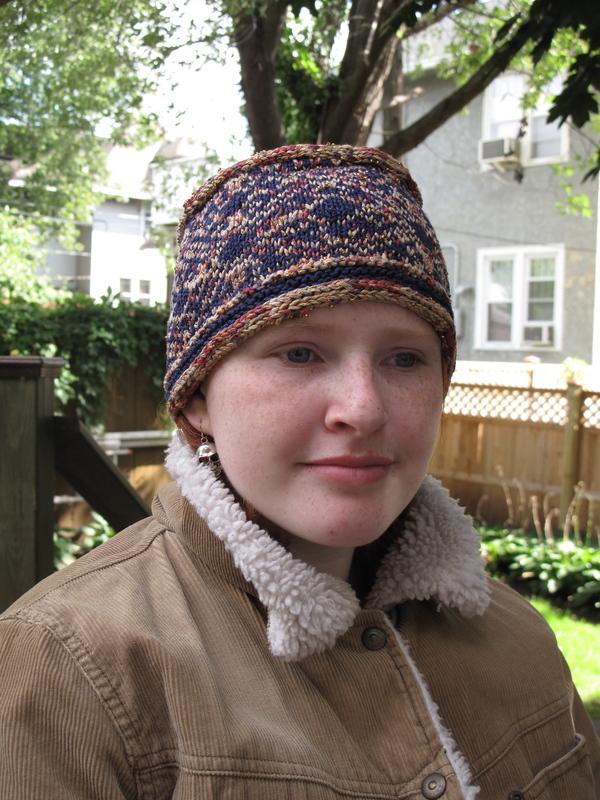 I’ve always loved hats, but the idea for making fancy knit hats came about 3 years ago when a knitter friend asked me to join her in a retail gallery show. She makes purses and suggested I could make hats. Since this was a fairly upscale place, I wanted to make something that was more than just knit caps. I had a lot of fun playing around with shape, structure, and embellishment and came up with a collection of hats for the show that became the inspiration for the book. Was there a certain technique or point of view about hats that you would like to share with your readers? I’m having a blast playing with structural, 3-dimensional shapes. 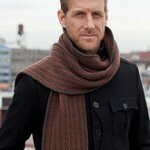 I create them by choosing yarns with lots of body and then knitting them at a very tight gauge. Making knit objects that stand up on their own is really cool! I like knitting things that make you do a double-take. I mean, who expects a knit top hat? What is your millinery background? None, other than looking at a lot of hats. I do have a sewing background, but really I taught myself by trial and error. I’d love to take a millinery course and learn some of the tricks of the trade. What millinery techniques are used in the book? Shaping the hats during the blocking process has quite a bit in common with shaping a traditional millinery hat over a hat block. I also used buckram to create a frame for one of the hats. But mostly it’s about capturing the feel of classical millinery in the shapes and decorations of the hats more than actually trying to transfer techniques. What is it that you consider has raised your knit hats to a ‘couture‘ level? Each one is lovingly hand made, that’s “couture,” right? 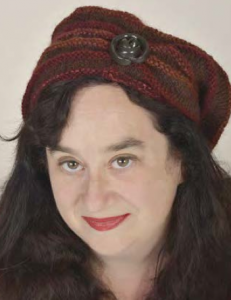 Seriously, I wanted to distinguish my hats from the more typically casual knit hats. 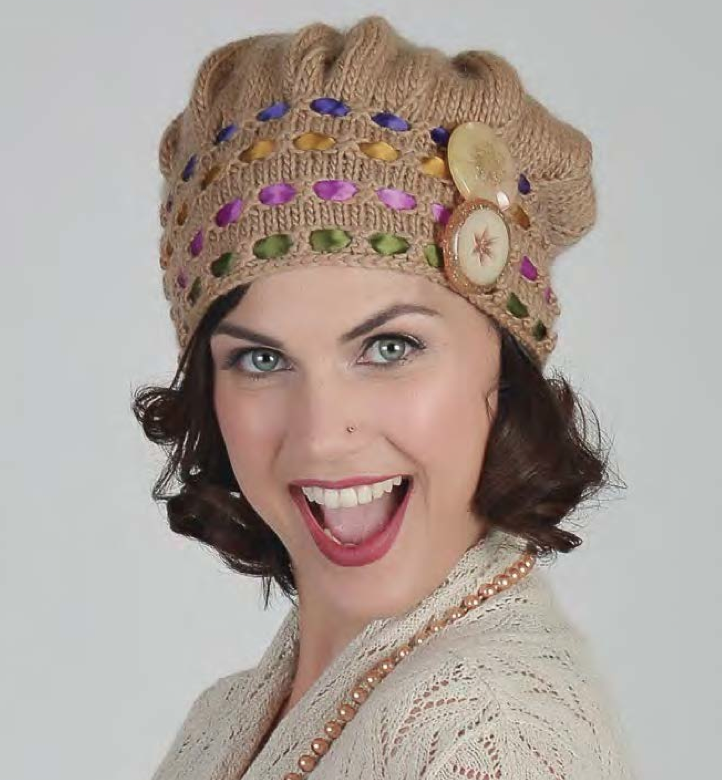 I love a good slouchy beret or cozy beanie and wear a lot of them, but these are special, more elegant. 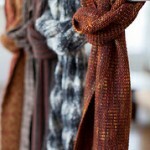 I encourage the knitter to indulge in lavish materials for the embellishments. 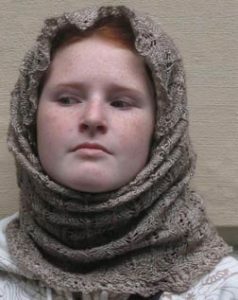 It’s about taking the knit hat to the next level. Do you have plans for any future books? I have a couple of ideas, but nothing for sure yet. There will be a piece coming out in Knit Edge Magazine Issue 3 discussing this knitting tight technique and applying it to the construction of knit bowls. I’d like to curate a group book next. I like the idea of blending many artistic visions into a coherent whole. Have you ever worn a hat specifically for an Easter Parade, and if not, would you? I can’t wait to read your comments – and good luck! I’ll declare a winner by Tuesday, 3/26/13. 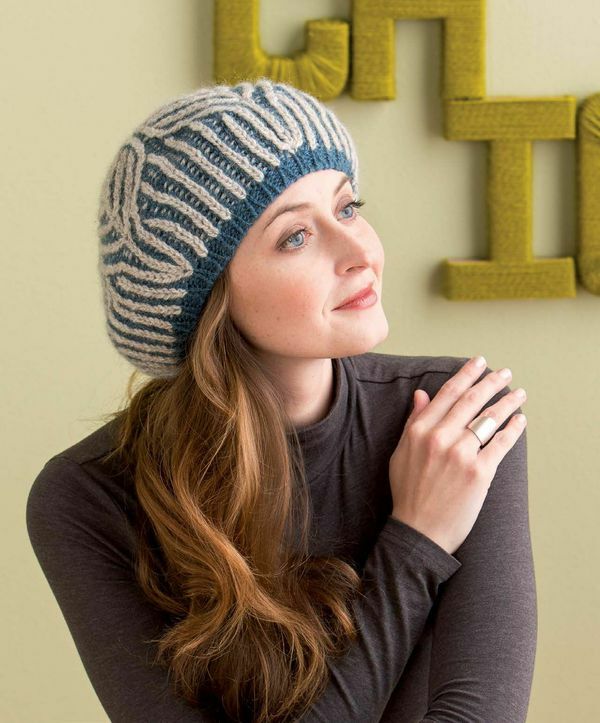 If you’re interested in reading about Theressa’s tight-knitting technique in Knit Edge magazine, a new online-only magazine brought to you by Cooperative Press, you can get $2 off a subscription by using the code “modeknitsilver” when you subscribe. Today’s giveaway is for TWO books, and I’ll ship them on Thursday Priority Mail so you actually have a chance of getting them by Christmas! 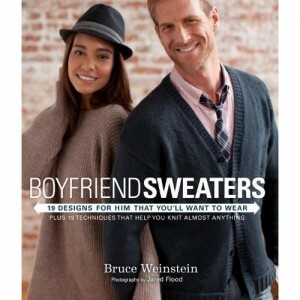 A follow up, in a sense, to Knits Men Want, this crosses into new territory with sizing for women as well as men, a definite PLUS! The pieces tend to a very simple shape, but as most knitters know, recipients often LOVE the simpler sweaters. is what we do for OURSELVES. I love a book that is exactly what it says it is. This is a book of – guess what? 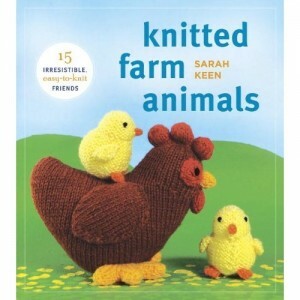 – knitted farm animals. Sarah revisits her earlier theme books, Knitted Wild Animals & Knitted Noah’s Ark. Whether these are created as toys or creative embellishments for unusual scarves and hats, they look like a crazy good time. They’re perfect, hug-able, and the fabric shaping mimics the anatomy of each animal in very clever ways. All you have to do to win either book is leave a comment stating which farm animal your most memorable boyfriend (or girlfriend) reminded you of. I’ll pick two winners at random, it will be up to pure chance which book each winner will receive! How’s THAT for an unexpected holiday gift! I know I’m a bit late for Hanukkah, but I’m in time for the other solstice mid-winter gift-giving extravaganzas! I have a few books to give away – none of them mine – but all of them very nice! I’ll give away one every few days so I can get them shipped to you by Christmas (or whatever holiday you celebrate!) Ideally, if you win one of them it will be a lovely gift for YOU! 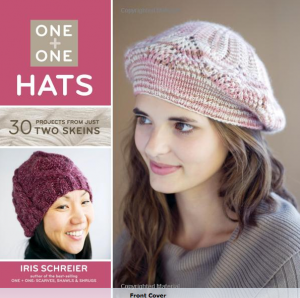 This is another one of Iris Schreier’s books which use her lovely Artyarns and focus on projects which use a limited amount of yarn. 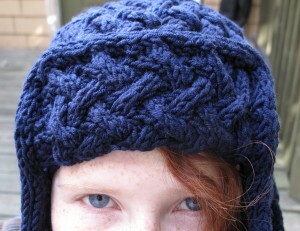 The specifications for these designs were hats which use ONLY two balls of yarn. 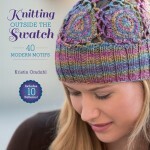 I have two hats in the book, which makes me very proud and happy! 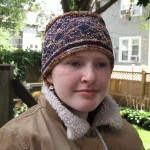 The first is a color work toque (square top) shape. 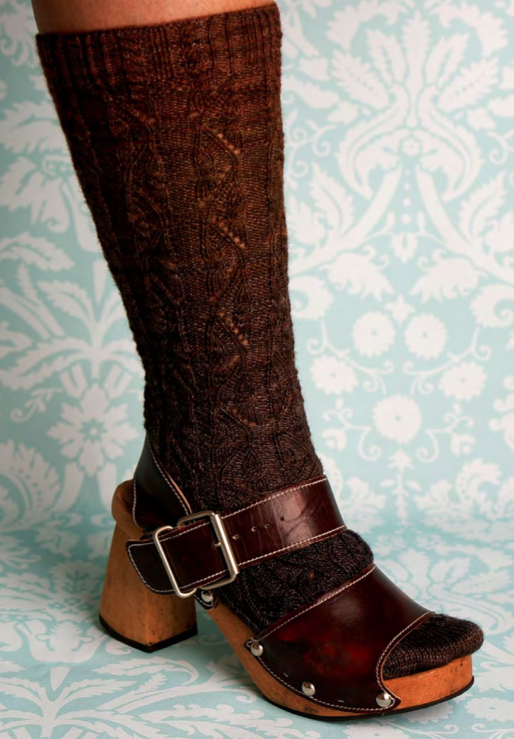 The lighter color is variegated, the dark is a semi-solid, with a squarish top and garter / i-cord trim at the bottom. The second hat is inspired by a military hat, and because the side flaps can be worn up or down, I used a reversible cable technique. It was my first time using it in a design, I feel that it worked very nicely. I created the reversible cable by working cables over a 2×2 rib, and being careful with the placement of the yarn as I form each cable. Here’s the chart (you may find it helpful, or it may make your head spin!) so you can get an idea of how I think through the reversible cables. YOU could be the happy recipient of this book – all you have to do is leave a comment and tell me about your favorite hat of all time! It doesn’t have to be a knit hat, or even one that you’ve owned – just a hat that has meant something to you! I’ll have two more books to share with you over the next few weeks, now tell me about a great hat!